Competence Matters have been providing training and development solutions to the construction industry since 2004. We specialise in the provision of construction related training courses (e.g SMSTS, SSSTS) and vocational work based qualifications (SVQ/NVQ) through-out the UK. We also provide vocational qualifications in General Management and Occupational Health and Safety as well as open courses in First Aid and IOSH. We have a proven track record of delivering on the commitments we have with our clients. We continually monitor the quality of our services to ensure that our clients only receive the best quality service at a value for money price. Competence Matters Ltd operate in several locations through-out the UK. Our head office is based in Cumbernauld near Glasgow with 2 additional offices in Warrington and Birmingham. We also facilitate training at various locations through-out the greater London area. We can deliver bespoke training at our fully equipped training centres, on site, or at your premises. We are very competitively priced and work alongside a number of highly respected construction companies. If you would like to know anything further please do not hesitate to get in touch. We specialise in the provision of construction related training courses (e.g SMSTS, SSSTS) and vocational work based qualifications (SVQ/NVQ) through-out the UK. The services we provide are designed to enable construction operatives, supervisors, technical staff and managers to gain industry recognised qualifications (which leads to gaining the right CSCS/CPCS Cards). 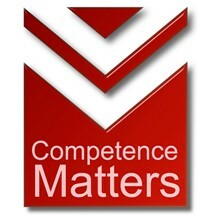 Competence Matters Ltd offer a wide range of training courses to meet your development needs. Our courses include CITB accredited courses (SMSTS, SSSTS, Health and Safety Awareness and Refresher Courses), IOSH accredited courses, First aid, Fire Warden, Manual Handling and more. We have a full calendar of open courses and we can also offer closed courses at our any of our training centres or at your premises if there is a training suitable for the number of candidates attending. We also provide vocational qualifications in General Management and Occupational Health and Safety as well as open courses in First Aid and IOSH.